What’s holding VR from taking off in Malaysia’s marketing scene? The concept of virtual reality (VR) is not newto the world of marketing. With the boundaries between the “real” and the “virtual” world slowly diminishing, VR is a tool which adds to the physical experience of a product – and brands and marketers alike are taking due leverage of this platform. From watching a live streaming in a stadium, to providing shopping experiences to the consumers, there are endless ways by which this platform can be explored. 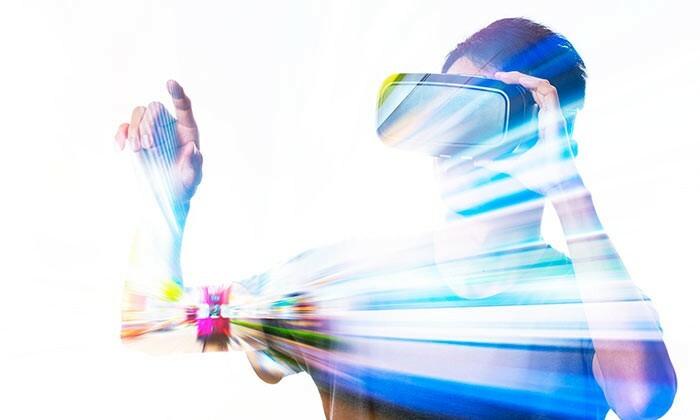 Global marketers are in fact fast embracing the world of VR and regional marketers too are picking up speed in experimenting in this new arena. IMAX Corporation and IMAX China Holding, for instance have completed the first phase of a $50 million virtual reality fund between IMAX and other strategic investors to help finance the creation of at least 25 interactive VR content experiences over the next three years for use across all VR platforms including in IMAX VR centres. In Singapore, the Info-communications Media Development Authority said Virtual reality (VR) is a big part of IMDA’s plans, with plans in the pipeline to incorporate it into the classroom as well as the medical sector. However, digital players in Malaysia agree that there is a lack of incorporation of VR tactics here. Serm Teck Choon, president of Malaysian Digital Association and Malaysia country head of CtrlShift said one reason could be due to the “low availability of (proper) devices with VR capability” in the region. On similar lines, Manu Gopinathan, managing director of Ansible argued that it is not fair to pinpoint Malaysia as the only market not picking up on VR. “In fact, virtual reality has in fact not picked up in other parts of the world, and not just Malaysia, as the the computing power needed to power a full-fledged VR experience is very limited,” he said. They are merely goggles that don’t provide the full VR experience. Content is also lacking in this space. Gopinathan added that there is not enough content or games produced in the market yet to fully maximise the capabilities of VR. “This will change over the next few years but for now, there is still a dearth of good VR content,” he added. Prashant Kumar, senior partner of Entropia, said that ultimately content drives all new experiential technologies. But there is still a lot of confusion and complexity around digital media and there is a critical trust deficit on hygiene issues. He explained that virtual reality content can be a media opportunity, or brands can bring VR experiences to engage their customers. Moreover, businesses can use VR to offer enhanced product or service experiences. Gopinathan explained that VR has not been completely adopted by the masses, hence the market-size is insufficient for marketers to innovatively engage the audience. “A lack of understanding of the technology also limits a marketers ability to create marketing content or ads that may appeal to the audience,” he added. Moreover, consumers too take time to learn about how to use such tech in their daily lives. To overcome this challenge Gopinathan advises that while marketers need to innovate and experiment to gain a better understanding of the technology. “Create prototype marketing solutions that can work on VR, test them and learn from them,” he add. Echoing a similar sentiment, Serm said that one can stay ahead of game by experimenting with smaller budgets and gauging the response from the local markets. While the industry faces several challenges while adopting VR techniques, “the future of virtual reality is bright in Malaysia and holds several opportunities for brands,” Kumar said. The hotel group is set to roll out the carpet for Generation Y later today. ..